I read one msnbc that a year after Windows 7's release, 66% still cling to the old system. If you are a Windows XP user then please post here that which thing is preventing you from the upgrade? Almost one year after the introduction of Windows 7, it appears that the hype has faded. The overall market share of Windows has turned into a slight decline again. Windows 7 is gaining share, but it cannot keep pace with the loss of Windows XP and Vista. Especially Windows XP users seem to be happy with what they have and appear to be rather resistant to Microsoft's pitches that it is time to upgrade to Windows 7. Edited by USG Ishimura, 06 October 2010 - 12:52 AM. My "I DON'T USE WINDOWS XP" comes with a qualifier. As a tech, I don't have much choice in the matter. Most business environments have applications (or entire suites of applications) for XP. some old games that I am still fond of don't play nicely with Windows 7. But my personal preference is Windows 7. They make this sound as if XP's market share isn't tanking as well. It's at the lowest it's been in years and continues to decline. Edited by Kalphite, 06 October 2010 - 02:36 AM. I still use XP and I have no plans to move to 7. The main reason is "If XP gives me all I need, why should I change it?". The second one is that most of the programs I use ( 2/3 of them are portable ) don't work well or don't work at all with Vista/7. I think windows XP users are just plain skeptical and afraid of change, even if it is really for the better (such as windows 7). This thread should be renamed to: "Most Windows Users Still can't be simply bothered and choose to remain oblivious". and besides, windows XP took 10 years to reach that stage. Windows 7, after 10 years, in 2020 we might see threads on winmatrix saying "Most Windows Users Still Run Windows 7 even after nearly 2 years of Windows 2018's release". Edited by FalseAgent, 06 October 2010 - 02:20 PM. I use 7, but i have lots of family members that still use XP, mainly due to them thinking it "works just fine" and they are not willing to buy new hardware. I really doubt the old hardware could handle 7 or Vista. Windows 7, after 10 years, in 2020 we might see threads on winmatrix saying "Most Windows Users Still Run Windows 7 even after nearly 2 years of Windows 2018's release". I've been thinking that too lol. It's normal, when those people will need to get a new computer they will get their windows 7. I voted for using XP because of low system ressources. I don't need Windows anymore for my daily work. I just use Windows 7 to play a Windows only game, that doesn't run with Wine every other week. But somethimes I do need Windows to do a little work, mostly when I get Photoshop files that don't work with Gimp. I compared Windows XP and Windows 7 in VirtualBox and Windows XP needs far less ressources and Windows 7 has not a single feature that I improves my work experience! Everything runs slower compared to XP! So that might be the reason why most people still use XP: They don't need the features of Windows 7 and their computers might be old but working with XP! For Windows 7 they would have to upgrade their hardware but they don't want that! In fact the number of 66% might be to low, I know many people who buy a computer with Windows 7 and downgrade to XP! i have only 768mb ram and 1.5ghz p4 processor, thats why. but windows 7 in my pc is working good with aero and other stuffs, but not that fast as xp w/ my machine. i have managed to install windows 7 with aero on a 1.6 ghz duo 512mb ram laptop. it ran well and if that can run it almost any computer within ten years ago can run it fine. If you plan carefully what you install on a single core netbook windows 7 will run fine as well. Hardware is no excuse for xp users. I personally still use Windows 98, 2000, XP and 7. But 7 is by far the best, and its features should be given a go. My old Pc is running Windows Xp because windows XP doesn't requires a lot resources.. I'm using my new PC now with Windows 7 running and I missed the interface that Xp got..
Windows 2000 Professional is my personal favorite, but Windows 7 is my primary OS, the reason for that is that is obvious. my old notebook still has xp in it. its not that bad though. I'm using XP now, though it seems WIn7 is really faster than XP. I thing I'm too lazy to change it, by the way Ein7 is really expensive!!! 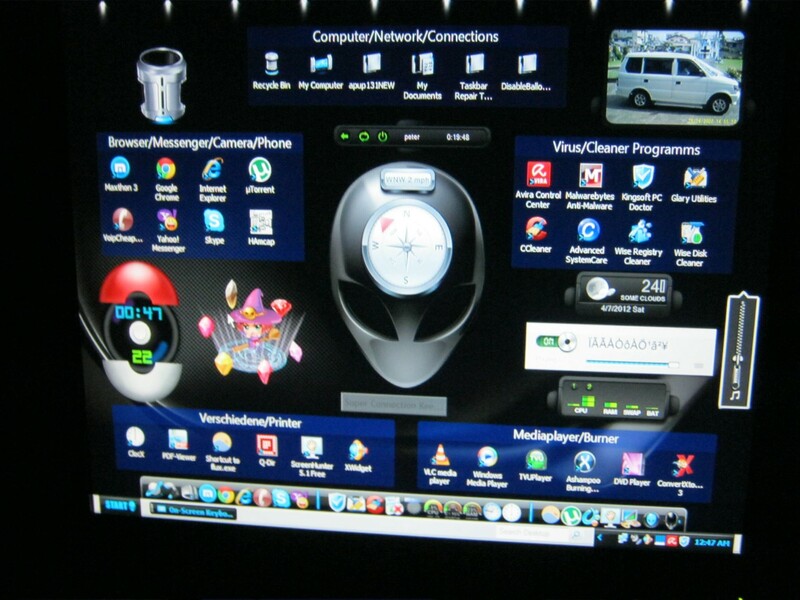 xp is much more user friendly,i have a lot of friends they go back from w7 to xp.ok for gamer w7 is a littel faster thats all but im not a gamer only my kids hey you like my desktop xp with alienware? ?